It enjoys a well-earned reputation as a trendsetter in creative hands-on Jewish educational programming and Hebrew language instruction for children in Pre-K through Grade 7. We are especially proud of our dynamic staff and the inclusiveness of our student body, with children from various private and public schools with varying backgrounds and affiliations. Our environment is one of openness and welcoming of families from all backgrounds. We acknowledge and are respectful of the diversity of our study body while emphasizing Jewish values of family, community, caring, joy, tradition and rituals. Confucius once said, “Wheresoever you go, go with all your heart.” And this exemplifies the attitude of the teachers at PBS Hebrew School. The warmth, generosity, and attentiveness shown by all the teachers explains why my children race to go Hebrew school. The school intertwines playful activities with serious learning about Jewish faith, traditions, and holidays. While our children play games, read stories, and create art, they are gaining so much more than meets the eye- a foundation in Judaism and long-lasting friendships. We could not be more grateful and look forward to many more years at PBS Hebrew School. The teachers at Palm Beach Synagogue are invested in their pupils. You see their passion for teaching shine through to the children. It is a very happy atmosphere. The programming is impeccable. My kids wake up excited to go to Hebrew school! They were praised and encouraged by the marvelous teachers which energized and motivated them to progress beyond my expectations. Both of my children went to PBS HS from early on until graduation. And they will both be choosing to attend attend Maimonides for many years to come. As a single mother I so appreciate the value system that is taught as well as modeled to my children through the school. I cannot be any more grateful that my children are a part of consistent, integrative, blessed and enjoyable set of extraordinarily high values that were both taught verbally and by example to my children through Morah Dinie's programming, teacher choices and love. What an invaluable experience and how lucky we all are! There are many turning points in life. Finding PBS as our children's new Hebrew school home and family is definitely one of them. One that, through every holiday and school day, empowers the kids to be exactly who they are. They are lifted in love with their heritage and Jewish roots. The teachers produce an environment that WOWs and is the best example to them of their own potential! I can't believe how profoundly a single year of Jewish education has already shaped my children's identity and self expression- they love Hebrew school with all their hearts, their friends their teachers and their community! My children count down the days until Hebrew school - I think that speaks for itself! As parents it makes us so happy to witness our children's ever growing enthusiasm for the Jewish religion. The kids program is unparalleled…in just one day a week they have managed to teach them how to read Hebrew, understand and appreciate our traditions and holidays, and instill a love and commitment to Israel and their Jewish identity. Their unique, innovative approach makes learning FUN!! My kids love it! The Palm Beach Synagogue Hebrew School is dedicated to providing a comprehensive Jewish education enabling our students to secure a deep understanding of our rich Jewish heritage, fluency in Hebrew reading, prayers and basic language skills. We strive to provide our students with a broad knowledge and understanding of Judaism which will empower them to be educated Jews who are proud of their Jewish identity and connect with G-d, His Torah and His people. Through comprehensive Torah learning, holiday celebrations our students gain pride in the richness of their Jewish heritage, culture and history. Keeping to our goals to illustrate Jewish life to the fullest – throughout the year we launch educational projects, initiatives and competitions – encouraging students to express their talents and creativity within a Jewish framework, while broadening our school horizons beyond the classroom. Hebrew, particularly Hebrew reading, is the key to full and meaningful engagement in traditional Jewish experiences. Friday night Kiddush, Passover Seder and the High Holy Days all come alive at PBS Hebrew School. Through Hebrew, we not only give our students the skills and knowledge they need to be prepared for their B’nei Mitzvahs, but we lay the foundation for their ongoing involvement in Jewish life and community. Our goal is to provide new and exciting ways for our students to learn to read Hebrew. Children learn the names and sounds of the 22 letters of the Alef Bet in an entertaining and exciting way. As they learn the letters, students develop a basic Jewish vocabulary. Our Hebrew reading program is a highly motivating and inspirational way of encouraging the students to progress rapidly through the different levels of reading Hebrew. As role models who live by what they teach, our staff ensure that every child is motivated, stimulated and engaged in thought-provoking and fascinating activities; capturing the soul of Jewish learning and living. Rebbetzin Dinie Scheiner was born and raised in Brooklyn, New York, and graduated from Beth Rivkah Seminary. Before moving to Florida with her husband, she taught in early childhood programs in Myrtle Beach, South Carolina, English studies to elementary school children in New York City, and spent summers teaching in the former Soviet Union (Moscow, Kiev and Riga). The Rebbetzin is Director of the Nechamkin Hebrew School at PBS. As Director, she is responsible for the development and implementation of the School’s curriculum and programming; supervision of the teaching staff; as well as teaching classes. She worked with her husband in establishing the Synagogue and is actively involved in all aspects of the Synagogue’s programs and events, especially the Women’s, Singles and Youth Events, and teaches regularly scheduled classes to women. Morah Tzipora is a wife and mom to two little boys. She has a passion for teaching Torah to children which she has been doing 8 years. She moved to Boca with her family a year ago from New Jersey and loves living in sunny Florida. 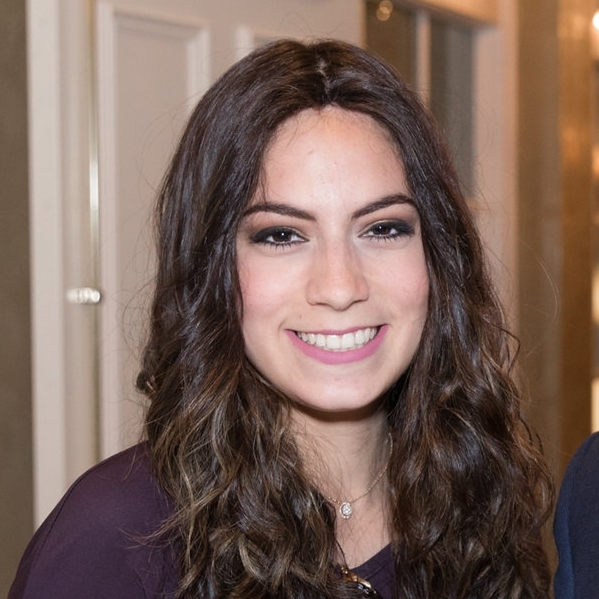 Born and raised in Miami, Mina Stolik graduated from Beis Chana High School. She then furthered her studies in Machon Shoshana Seminary in Jerusalem, where she learnt teaching tips and strategies. She has been teaching in many different Hebrew Schools for the past few years, including Hallandale, Silver Spring, and Olney, MD. Mina's love for children and passion for teaching is evident in her classroom. She is excited to be on board the Palm Beach Synagogue Hebrew School community. Morah Chany Stolik was born in Brooklyn, New York into a family of educators.. She graduated Beth Rivkah Seminary and received her Teacher's Training Certificate in Sydney, Australia. She has over 2 decades of experience working with children and it's evident by the love she has to her students in the classroom. She is a Rebbetzin and proud mom of 5 children. Born and raised in South Africa, Morah Sarah has been involved in education and leadership training for close to a decade. While pursuing her medical career, she co-founded Jnetic, an organization focused on education and awareness of genetic diseases. She lives in Palm Beach with her husband and Baby Eli and is the Youth Director at Palm Beach Synagogue. Morah Sarah loves teaching Kitah Gimel on Sunday mornings! Shaina Stolik wears many hats. She is a mother to a large family, Rebbetzin (of Chabad of South Palm Beach), and a veteran Jewish educator. She has experience with every age and stage ranging from High School to Early Childhood. Shaina's passion is getting students to think for themselves by asking open ended leading questions. She loves art, storytelling, and Jewish history and enjoys incorporating those interests in her lesson plans. Shaina has been teaching at Palm Beach Synagogue Hebrew School for over a decade and enjoys the meaning and fulfillment it brings to her weekends.